For the first time in the hybrid era, more than four drivers won a Grand Prix over the course of a season. Our five Grand Prix winners this year were: Lewis Hamilton (9), Sebastian Vettel (5), Valtteri Bottas (3), Max Verstappen (2) and Daniel Ricciardo (1). Kimi Raikkonen was the only driver from the three top teams to have not won a Grand Prix this season – which could’ve been a different story if he’d managed to stay in front after taking his first pole in nine years at the Monaco Grand Prix. Three teams won a Grand Prix in 2017. Mercedes won twelve, Ferrari took five victories and Red Bull claimed the top spot on three occasions. 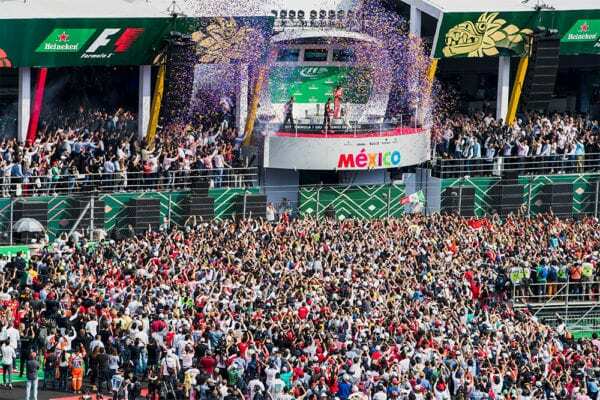 The top three in the Drivers’ Championship – Hamilton, Vettel and Bottas – each stood on the podium thirteen times. 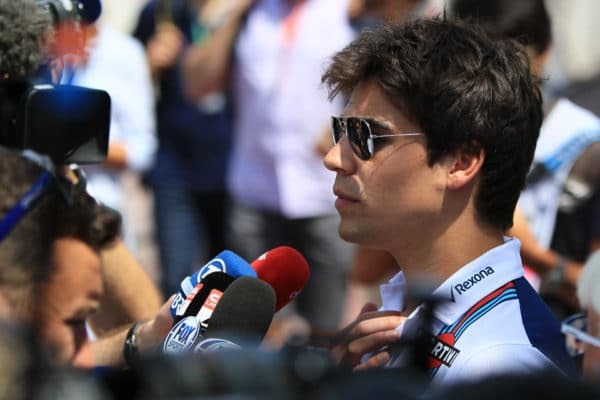 Lance Stroll was the only driver from outside the top three teams to take a podium. It was the first time since 2013 that Force India did not finish in the top three at any Grand Prix. After winning his fourth title, Lewis Hamilton maintained his record of not taking a race victory after winning that year’s title. It was also the first season in the hybrid era where Lewis Hamilton won less than ten races. If F1 was a Nations Cup, Finland would have won this year, with Bottas and Raikkonen bringing home 510 points between them. Four drivers took pole positions in 2017, the highest number of different polesitters since 2013. With 11 poles, Lewis Hamilton took more than half of the poles available. 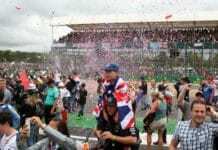 The lap record was beaten at every Grand Prix except the Italian Grand Prix, where Qualifying was affected by rain. The two Finns, Valtteri Bottas and Kimi Raikkonen, were the only drivers to make it through to Q3 at every Grand Prix in 2017. Kevin Magnussen, Marcus Ericsson and Pascal Wehrlein were the only regular drivers to not make a Q3 appearance. Without applying penalties, Valtteri Bottas had the best average qualifying position over the 2017 season, with an average of third on the grid. Jenson Button had the seventh highest average qualifying position, but also had the lowest average starting position due to the grid penalties he received on his only showing in 2017 at the Monaco Grand Prix. Between team-mates, the closest matched pair in Qualifying were Pascal Wehrlein and Marcus Ericsson. On average, Wehrlein out-qualified Ericsson by 0.049 seconds. 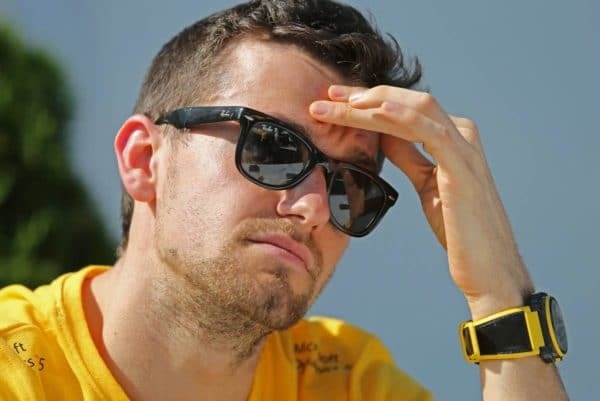 The largest average gap between team-mates in Qualifying in 2017 was between Nico Hulkenberg and Jolyon Palmer. The German out-qualified the Brit by an average of 0.738 seconds over their 16 rounds as Renault team-mates. There were only two occasions in 2017 where Nico Hulkenberg was beaten by his team-mate in Qualifying. Eight different drivers set a fastest race lap in 2017, including Fernando Alonso – who set the fastest lap during the Hungarian Grand Prix. Six drivers led a racing lap in 2017: Hamilton (527), Vettel (286), Bottas (187), Verstappen (133), Raikkonen (40) and Ricciardo (23). Every driver who competed in the majority of Grands Prix in 2017 scored points, with the exception of Marcus Ericsson whose best finishes were a pair of eleventh places in Spain and Azerbaijan. Meanwhile, in the other Sauber, there was only one occasion where Pascal Wehrlein wasn’t lapped. It came at the Azerbaijan Grand Prix, where he finished tenth. He finished eighth in Austria, but was lapped on that occasion. Over the season, Lance Stroll gained the most places on Lap 1 (38 overall), while Kimi Raikkonen lost the most (20). Between them, the McLaren drivers finished on the same lap as the race winner just 5 times this season. 2017 is the first season since 1999 where Jenson Button has not scored a point. Lewis Hamilton completed 1195 of the 1196 racing laps in 2017. He also scored points at every round of the season. That’s only the second time that has been achieved in F1 history, and the first time since Michael Schumacher did it in 2002. Valtteri Bottas would have achieved the same stat, if not for his engine failure at the Spanish Grand Prix. 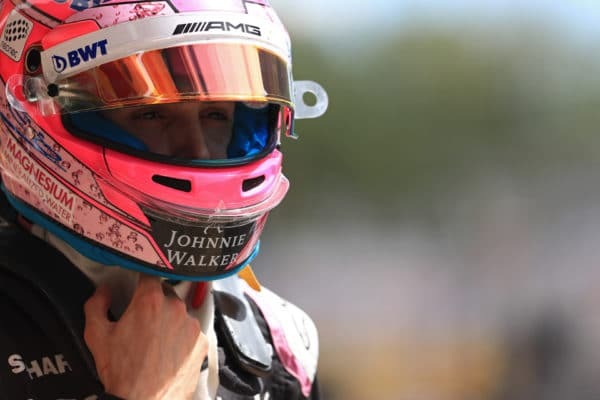 Esteban Ocon finished in the points at every Grand Prix bar two, and finished every race except the Brazilian Grand Prix where he ended a record breaking 27 race long finishing streak since the start of his F1 career. Grid penalties were a major talking point in 2017. 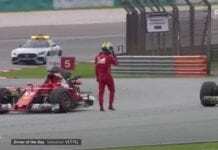 Over the course of the season, a total of 873 grid penalties were dished out. That’s a total distance of 4.34 miles, or just over two laps of Monaco. Unsurprisingly, the two McLaren drivers received the most grid penalties of anyone this year. Stoffel Vandoorne moved back a total of 213 places, while Fernando Alonso moved back 160. 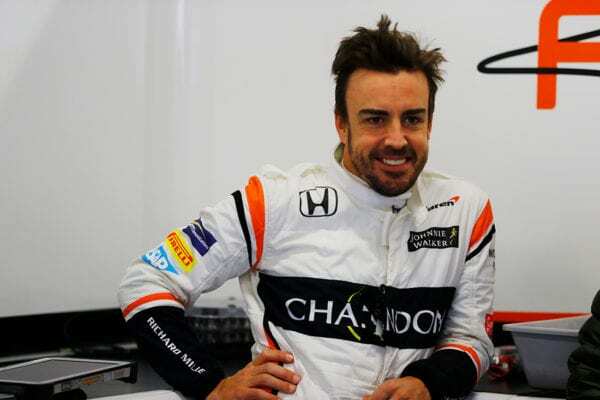 Fernando Alonso retired from a Grand Prix 8 times in 2017. Only two of those retirements were due to accidents. 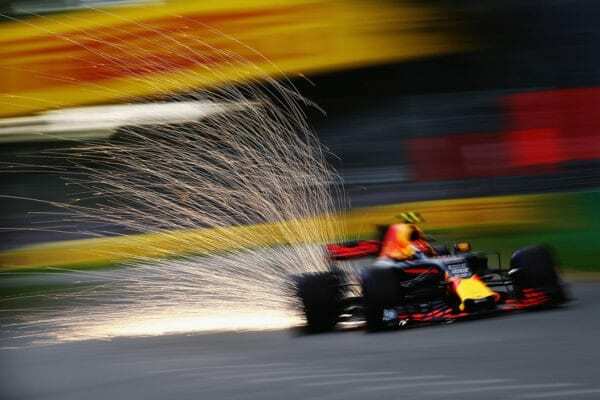 Of the drivers who competed in every race of the 2017 season, Max Verstappen completed the least laps. He did 819 of 1196 laps. Even Fernando Alonso did more racing laps than the Dutchman. Despite only competing in the final four races, Brendon Hartley received 65 places of grid penalties – the fourth most of any driver this year. Similarly, Pierre Gasly received 45 – the fifth most. Daniil Kvyat and Kevin Magnussen received the most penalty points for driving infringements in 2017. They each received 6. Red Bull’s RB13 car finished on the podium 13 times and retired from a Grand Prix 13 times. Got any more interesting stats from the 2017 season? Send them our way on Twitter – @BadgerGP! HRT F1 sign Chandhok – The New Force From India?